What is Love That Bag? Love That Bag! 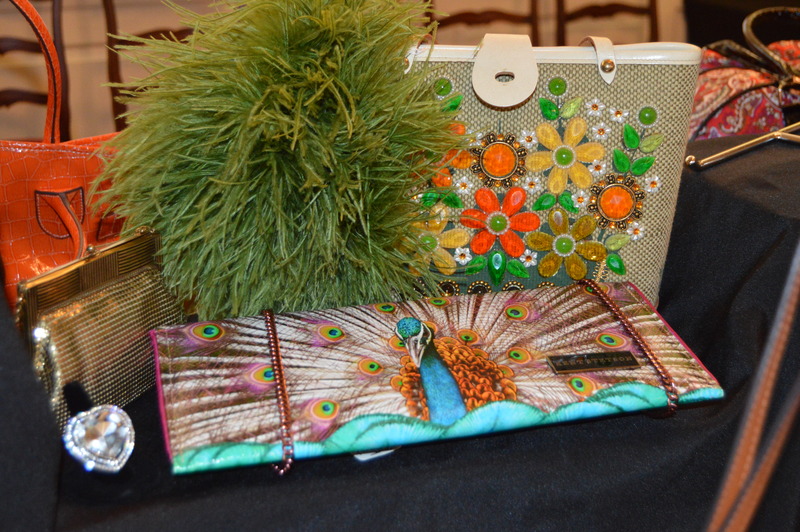 (formerly known as the Old Bags Tea/Purse Auction) is a live and silent auction featuring new and used, designer and casual, purses and bags of all kinds. In 2016, jewelry was added to sparkle up the event. 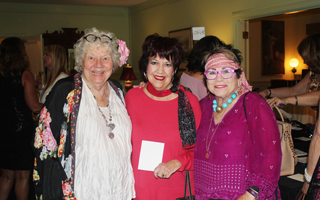 These purses and jewelry are donated by our gracious donors who clean out their closets to share those bags they once loved and no longer use and by donors who see bags along the way during their shopping adventures and set them aside for the event. All purse and jewelry donations are in-kind tax deductible gifts to the Alliance and once valued by the donor, can be presented with a receipt for tax purposes. Proceeds from the auctions benefit the programs of the Alliance for Women & Children including Alliance After School Care. 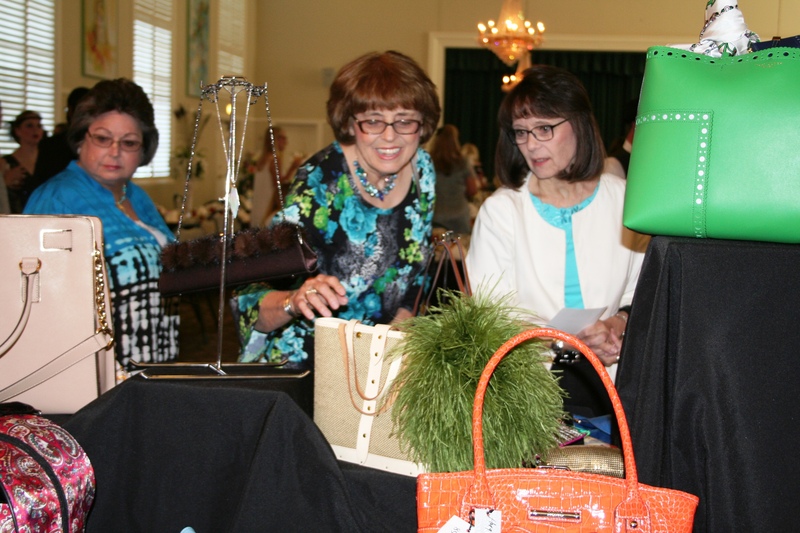 The 2018 Purse & Jewelry Auction was held at the Abilene Woman’s Club on Thursday, April 19th at 6:00pm. 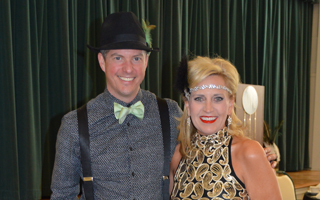 Emcee Stacie Wirmel and auctioneer (to be determined). How can I donate a bag? Donations for the next years's event can be taken by any Board Member of the Alliance for Women & Children or can be dropped off at the Alliance office. Please include the value of the bag and the name and address of the donor. How do can I participate in the event? Reserved tables for 8 are available for purchase prior to the event for $400, as well as, individual seating at $50 per ticket. Space is limited and we have sold out for the past few years, so act early! Tables and seats can be reserved by contacting the Alliance office at 325-677- 5321. The 2018 Fall Luncheon will be held on Thursday, September 13th at the Abilene Convention Center featuring American Wife, Taya Kyle. Taya Kyle is the wife of the late U.S. Navy SEAL sniper Chris Kyle and the author of the New York Times bestselling book, American Wife. Taya is a bold advocate for women and families and a passionate voice for faith, strength and American ideals. The 2018 Fall Luncheon will be held on Thursday, September 13th at the Abilene Convention Center featuring American Wife, Taya Kyle. Following the tragic death of her husband Chris Kyle - author of the New York Times bestselling book and Academy Award-winning motion picture, American Sniper – Taya has served as Executive Director of the Chris Kyle Frog Foundation. The Foundation continues Chris Kyle’s legacy while serving the needs of military and first responder families. 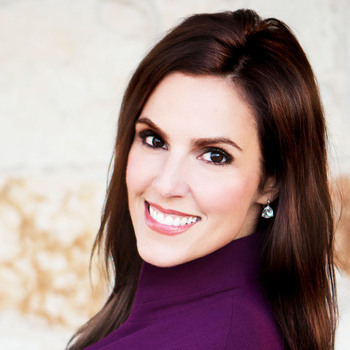 Taya Kyle recounts her personal experiences as the wife of an American hero in her book, American Wife. Highs, lows, grief and joy – she honestly shares the trials and triumphs of life with and without Chris Kyle, and ultimately finding her place in the midst of the journey. Taya is a frequent speaker for various organizations. She is a proud mother and resides in Texas with her family. What is the Fall Luncheon? 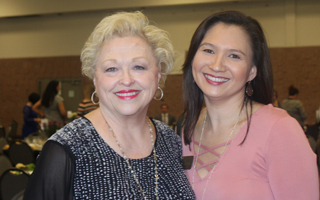 The Fall Luncheon is an annual fundraising event typically held in September at which we bring in a motivational, inspiring speaker to bring an encouraging message to the community. 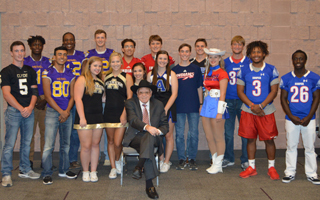 Please check back for date and time of this year’s Fall Luncheon to be held at the Abilene Convention Center. 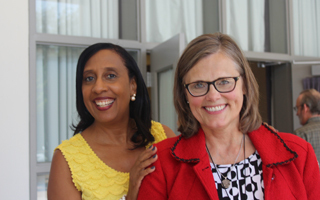 How can I participate in the Fall Luncheon? The Alliance accepts sponsorships for the Fall Luncheon to underwrite the costs of the event. 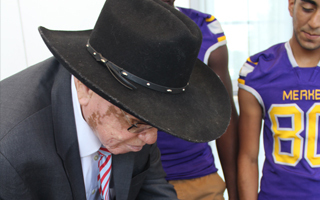 Information regarding sponsorships can be obtained by contacting Toni Brockway, Executive Director at 325-677-5321. Abilene Gives is a 24-hour online giving event designed to empower every person to give back to their community by supporting local nonprofit organizations and causes they care about in one easy-to-use platform. On the May 1, 2018, Abilene Gives will be one of more than 100 community giving events happening across the country to raise the profile of charitable giving. Abilene Gives will allow our community to give together by collectively supporting our local nonprofit organizations. 24 hours of giving begins at 12:00 a.m. on May 1. Throughout the day, you can view the Alliance for Women and Children’s profile and make a charitable gift through this website. Participating nonprofits also have the opportunity to receive additional funds based on donations received during Abilene Gives, encouraging donors to make a gift on this particular day to support their favorite causes or nonprofits. Current Agency Needs: The Alliance for Women and Children's building is aging and with the passing years, comes necessary repairs. Just like your home, we have plumbing issues, too. The pipes leading out of the building to the sewer system have completely corroded. As you can see in the pictures attached, half of the pipes are completely deteriorated. The Alliance building was built in 1959 furnished by donations of 1200 Abilene citizens with no mortgage - the building was paid in full. The open house for the building was held on March 27, 1960. With the help of Abilene & the Big Country citizens again, our building can be maintained for the future. The building is used now for office space, holiday camps, birthday party rentals, and so much more. As a nonprofit, we work diligently to ensure that the funds we receive improve the lives of the children and families we serve in Alliance After School Care. 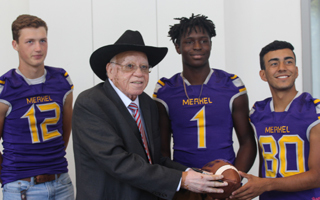 By keeping our rates nearly 50% less expensive than other licensed after school facilities and providing the necessary safety and oversight that being a state licensed, Texas Rising Star facility affords, we need your help to keep our building maintained. This keeps the other dollars we receive from fundraising events, memberships, grants, and other gifts directed specifically toward keeping our children in a safe and nurturing environment and our families self-sufficient. We have received a matching challenge grant for $5000. By reaching the goal and raising $10,000 collectively, the plumbing repairs will be 100% covered with some additional funding for other areas of the building in need of repairs such as some original flooring. 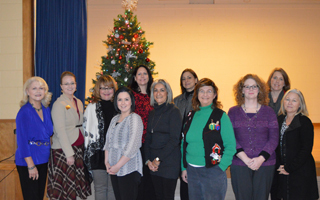 Thank you for your investment in our community through the Alliance for Women and Children! According to our by-laws, the Alliance for Women & Children holds an annual meeting of its membership once a year in the fourth quarter to report to the membership regarding the organization’s progress. This is also the meeting in which new officers and new members of the upcoming year’s Board of Directors are selected. If you are a member, please watch for your invitation to this meeting around November as the meeting will be held during the first week of December.